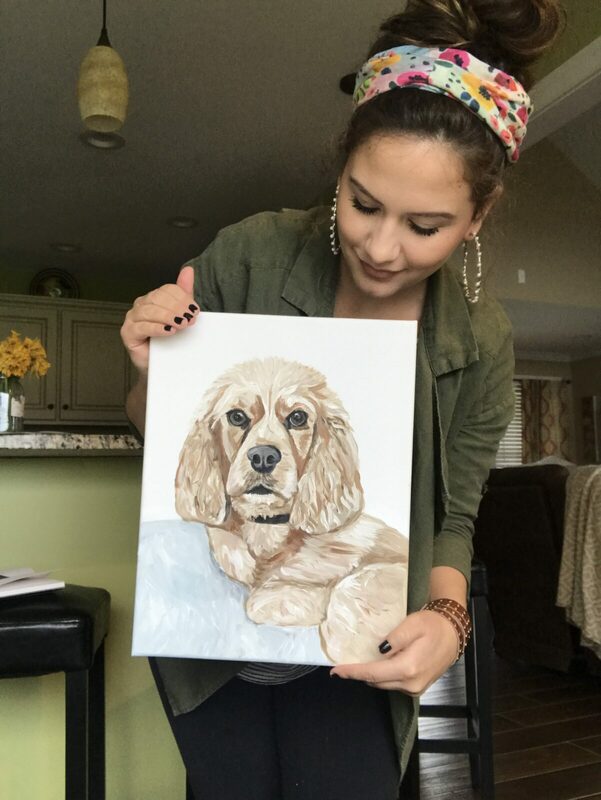 She wasn’t an artist but she had, and still has, an endless love for animals that inspired her to paint colorful and realistic portraits of pets. Katlyn Knifley was first inspired to paint a picture of a family member’s dog and what started as just a creative gift idea, has evolved into a successful side business for the Adair native. Knifley started doing pet portraits in late 2017 and she estimates that she has completed around 50 portraits now. She completes each portrait with just a canvas, some paint, and a few paintbrushes. She uses references provided by her customers to capture a unique and accurate likeness of the animals she paints. “Primarily, I’ve been doing dog paintings because I feel that is what I’m best at now but I hope to be able to expand and do other things like cats and horses,” says Knifley. The self-taught artist has done a little research, but she has relied mostly on intuition and by taking her time. Knifley does the majority of her portraits on 11’ by 14’ canvases and charges $50 for a portrait. After buying the supplies and putting in the time, she doesn’t make much money, but she says she gains so much more. Knifley has pets of her own that she has painted including her pet pig Penelope. She hopes to finish another personal project in the near future of a large horse with a jockey, but she continues to receive dog portrait requests on a regular basis. Knifley says that the biggest honor she gets is when someone asks her to paint a memorial portrait of a pet that has passed away. Pet owners interested in getting their own portrait can contact Katlyn on Facebook or by phone at 270-250-2649. 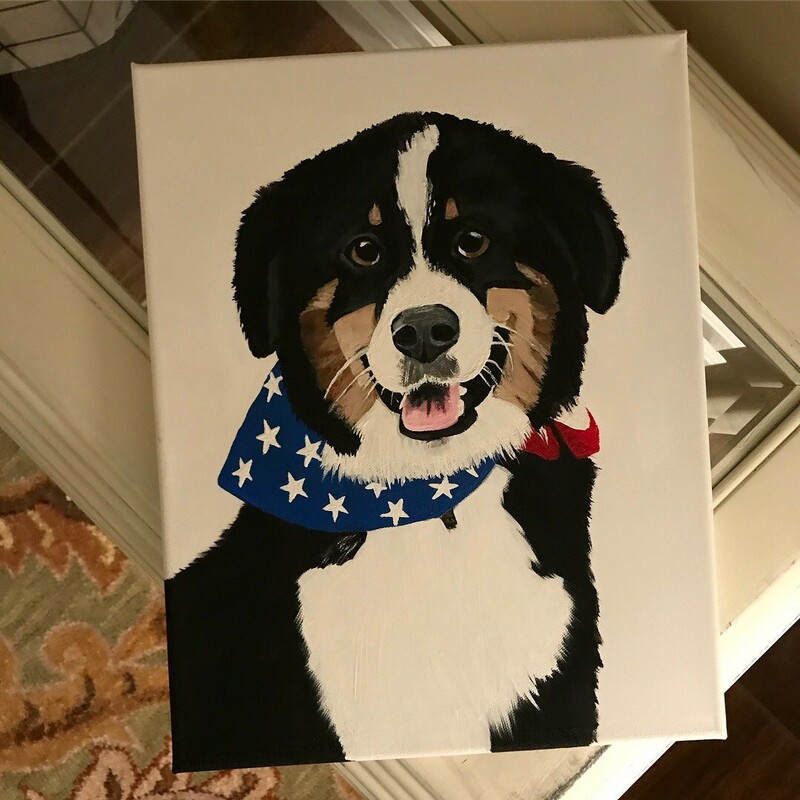 A Katlyn Knifley hand painted pet portrait featuring Cooper, the Australian shepherd mix (and a very good boy) owned by Samantha Davis and Kevin Crockett of Columbia. 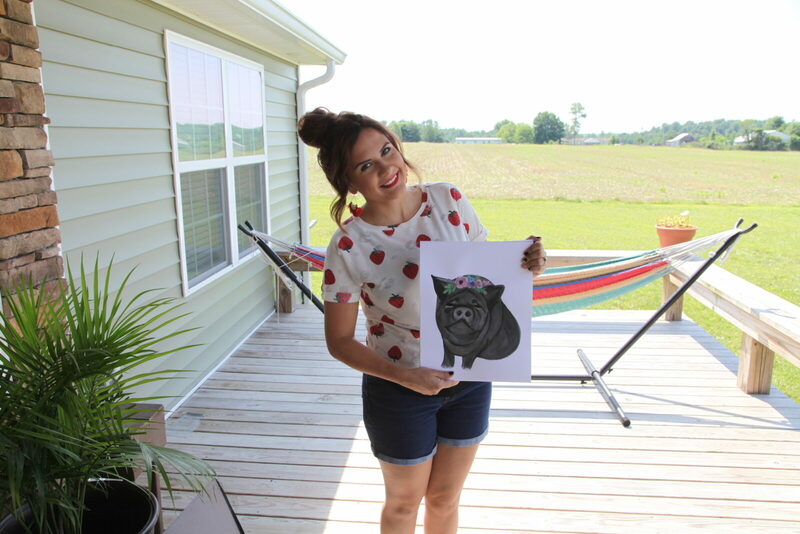 -Adair native Katlyn Knifley has an endless love for animals and painting pet portraits. 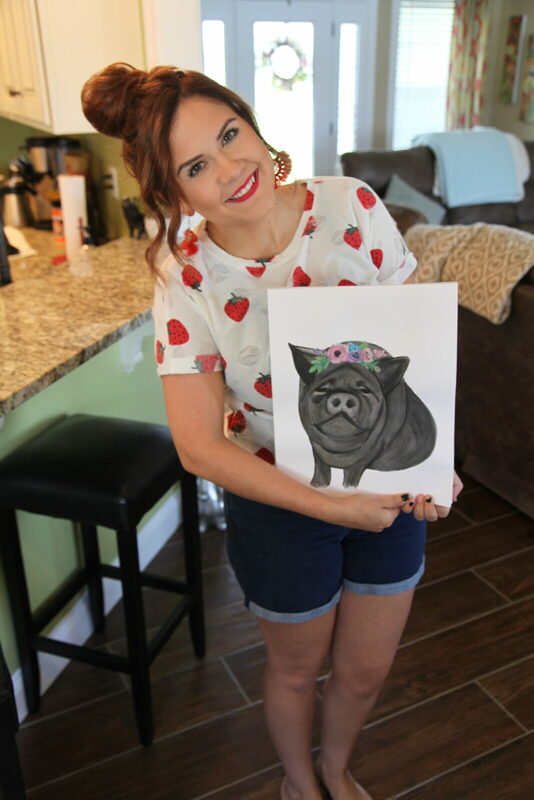 This is Katlyn with a painting she completed of her pet pig named Penelope.